When do you think the first copper water pipes were used? If you thought between 4000-3000 B.C., you were right! It is true, early civilizations in the Indus River Valley in India used copper pipes for their plumbing 6,000 years ago. While homes in the United States don’t have plumbing that’s quite as old, many of our beautiful houses are old enough to unfortunately have some issues. Read on to find out how your home might be affected based on when it was built. The first sewer system in the US was built right here in Chicago in 1885, and some of the most elegant Victorian homes in the area were built shortly after that time. The most important thing to initially understand is whether or not your home has lead pipes. Problems with lead poisoning have resurfaced in recently, with older lead pipes leaching into the water supply. Children and pregnant women are most susceptible to lead poisoning, and the horrible effects on developing brains are permanent. Lead is odorless and tasteless; the only way to know if lead is contaminating your water is if you get it tested. A great place to start is contacting your local plumber to inspect your pipes. In Sink Plumbing can tell you whether lead poisoning poses a concern. Houses built between the 1930s and 1950s were still being built with the previously mentioned lead, however, galvanized steel and copper pipes were quickly on the rise. 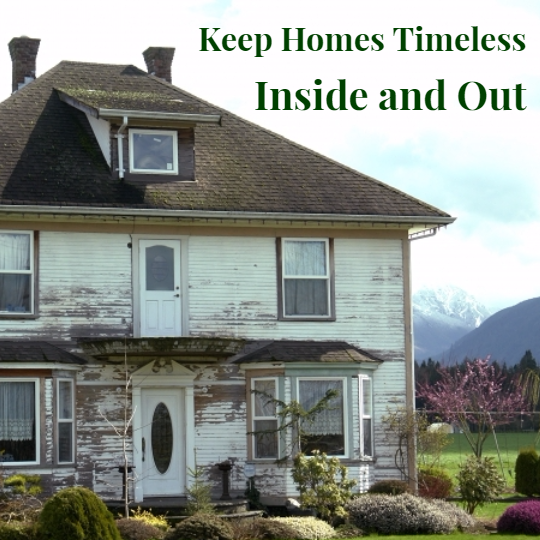 Due to the Great Depression, homes sometimes suffered for lack of financial ability to fix problems as they arose. Copper in particular can have some issues with pinhole leaks, where erosion is specific to a small, pinpointed area. Copper pipes have a life expectancy of 60-80 years, so knowing your home was constructed during this time period means your pipes have a chance of needing work. Additionally, copper pipes were sometimes used in cohesion with lead pipes, which presents a potentially greater risk. If you’re unsure if your pipes are copper, contact your local plumbing company to see if pinhole leaks could cause an issue in the future. Galvanized steel became increasingly popular in the 1960s for being used in pipes and plumbing. One of the most beneficial impacts of using galvanized steel pipes is their low initial costs and fast assembly. 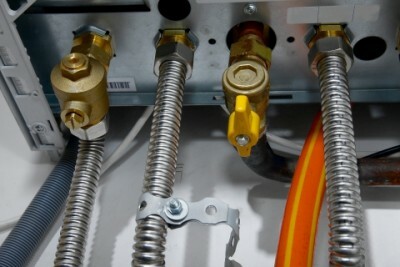 These pipes could be created quickly and installed at relatively low costs to home builders. However, a downside to galvanized steel pipes exists in having a less durable longevity than copper, as a comparison. These pipes begin to rust, lose their coating, and leak right around 40 years after installation. Having a home within this given time range means having that if you have galvanized steel pipes, they are right around the age for needing replacement. Plastic began to be implemented in some homes throughout the 1970s, but certain types are requiring immediate replacement. This is particularly true for polybutylene plastic pipes. As Homestructions states, “[polybutylene plastic pipes] are extremely brittle so they often break.” Many plumbers recommend a newer plumbing installation sooner rather than later, as polybutylene plastic pipes waste water. Certain components of public water supply (like chlorine) can react negatively with polybutylene, and cause corrosion at an even faster rate. A big thing to keep in mind with polybutylene pipes is that they are sometimes also joined with copper pipes. If your home fits this time range and you are under the impression your plumbing is copper, it doesn’t hurt to double check. These pipes are mostly blue, but can also be black or gray. Consult with a plumber if you aren’t entirely sure if your plumbing might be comprised of polybutylene. It goes without saying that the technological advancements from the past two decades have made incredible impacts on all aspects of life. Plumbing is hardly an exception. Brand-new homes are likely to go above plumbing standards of the past by implementing energy-saving technology. Even in newer buildings, devices such as hands-free faucets are practically a staple, eliminating germs at an even higher capacity. In the past twenty years, however, PEX (cross-linked polyethylene) pipes have essentially become a standard. They are cheaper than copper, faster to install (due to their flexibility), and are more durable in terms of corrosion. PEX pipes have an added bonus of being red or blue, in order to indicate hot water or cold water supply lines. Back in 1933, Chicago hosted the World Fair and experienced an outbreak of amoebic dysentery. This resulted in 98 deaths, and over 1,000 reported cases. It is incredible to think of how the standards for plumbing have changed since that time, and go to show how important it is to have the proper plumbing for your home. Call us at In Sink Plumbing today to ensure the safety of your home, and more importantly, the safety of your family.